You are here: Home 2009 January The success rate of chemotherapy = 2.1% … huh?? FACT: approximately 2% of all cancers respond to chemotherapy. FACT: Chemotherapy as commonlyprescribed hurts more than it help. Says: Morgan G, Ward R, Barton M. in his article: The contribution of cytotoxic chemotherapy to 5-year survival in adult malignancies. Published where? Some fringe journal? Well, is this new information? When was it published? Well, if this has been known for the past 4 years, why doesn’t my oncologist (who is this very minute pressuring me to take chemotherapy) know about the overall worthlessness of chemotherapy as it is conventionally prescribed? So, what good IS chemotherapy? In the context of Corrective Health, if used in 1/10 the standard dose in a targeted manner with insulin as a potentiating factor, chemotherapy is considered by patients to be “hard on cancer and easy on patients”. They also call this technique (first developed in 1940) as “side-effect free chemotherapy”. SUMMARY: Like any tool, chemotherapy drugs can be used or misused – they can be used elegantly or, quite sadly as is commonly known today, they can be wielded like a blunt instrument. 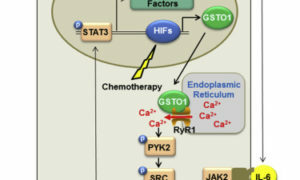 See IPT Treatment at a Glance and The Biochemistry of IPT to learn more about the elegant use of chemotherapy. 5 Responses to "The success rate of chemotherapy = 2.1% … huh??" We are speaking about survival rate, that does not mean success rate. If you get cured from cancer it is a success. If you are still alive but still with cancer, this counts for the survival rate. It is funny. Let talk about the real success rate, how many get really cured from cancer, and not who can survive still with cancer after 5 years.!!! Let’s talk about success rate and not survival rate. If you are alive after 5 years and you still have cancer you enter into the “survival rate” even if you did not get cured. Let’s talk about the real success rate. How many people get really cured, with no cancer after the therapy? Living with a purpose prolongs life. Volunteers live longer.